The Shield plus matt white finish IP65, 90-minute fire rated bathroom shower light is practical, stylish, economical and easy to install. It is IP65 rated, meets BS requirements for 30, 60 and 90 minute fire rating and is resistant to the passage of sound. 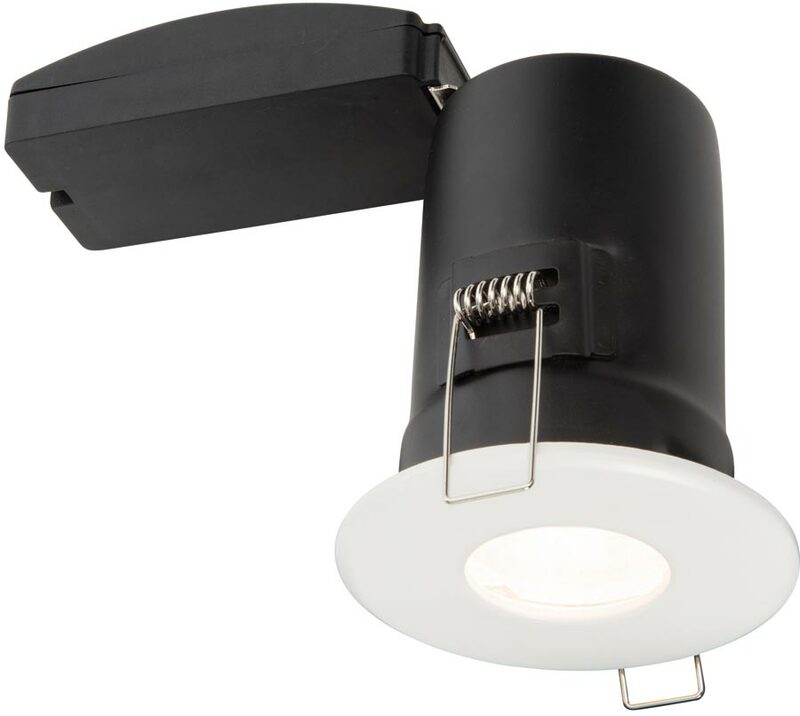 This 90 minute fire rated downlight has convenient screwless push-fit installation for easy fitting and supplied with a two-year warranty. Minimum void recess 200mm, cut-out 73mm. Perfect for use with a GU10 LED lamp (not supplied).